ICCWC is the collaborative effort of five inter-governmental organizations working to bring coordinated support to the national wildlife law enforcement agencies and to the sub-regional and regional networks that, on a daily basis, act in defense of natural resources. The ICCWC partners are the Convention on International Trade in Endangered Species of Wild Fauna and Flora (CITES) Secretariat, INTERPOL, the United Nations Office on Drugs and Crime, the World Bank and the World Customs Organization. This powerful alliance was formally established on 23 November 2010 in St. Petersburg, Russia during the International Tiger Forum when the signatures of all partners were included on the Letter of Understanding. In this context, ICCWC works for, and with, the wildlife law enforcement community, since it is frontline officers who eventually bring criminals engaged in wildlife crime to justice. ICCWC seeks to support the development of law enforcement that builds on socially and environmentally sustainable natural resource policies, taking into consideration the need to provide livelihood support to poor and marginalized rural communities. 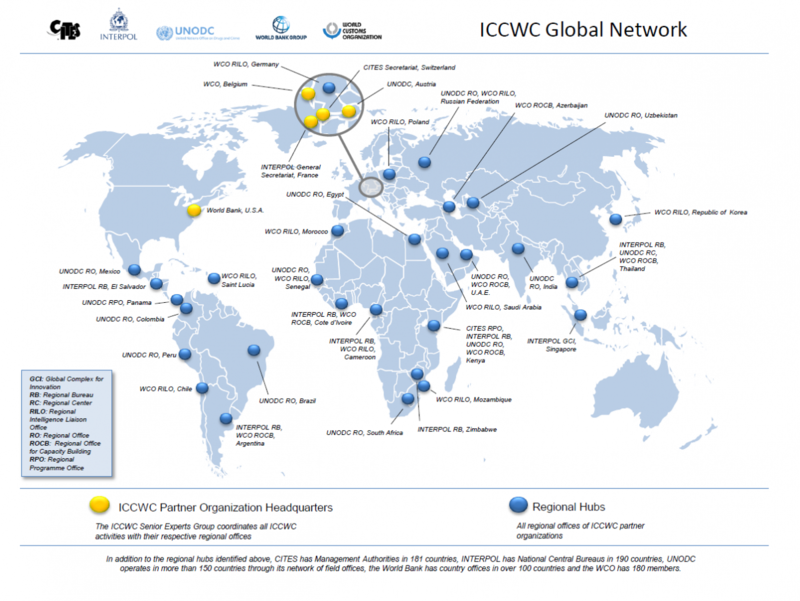 Read or download a brochure about ICCWC. 21 July 2016: Keynote remarks by CITES Secretary-General John E. Scanlon at the Caribbean Regional Wildlife Enforcement Workshop, Bahamas.